Douglas S. Massey is the Henry G. Bryant Professor of Sociology at the Woodrow Wilson School of Public and International Affairs at Princeton University. 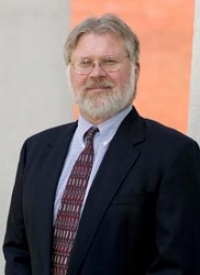 Douglas S. Massey has been a member of the faculties of the University of Chicago, the University of Pennsylvania, and, currently, Princeton University. He has served on the Population Association of America Board of Directors from 1986 to 1989, was the Vice President of the PAA in 1994, president of the PAA in 1996, and received the PAA’s Clifford C. Clogg outstanding early career award in 1998. He has made major contributions in multiple fields of demography and sociology: international migration, especially from Mexico and Latin America to the United States, race and housing segregation, discrimination, education, and urban poverty. The thread running through these topics is his deep concern for social inequality. His contributions to the field have been acknowledged by his peers in many ways. He has been elected to the National Academy of Sciences, the American Academy of Arts and Sciences, and the American Philosophical Society. In addition, as mentioned above, he has served as president of PAA, he is currently president of the American Academy of Political and Social Sciences, and he is a past-president of the American Sociological Association. He is currently co-editor of the Annual Review of Sociology and has served as a member of numerous editorial boards.